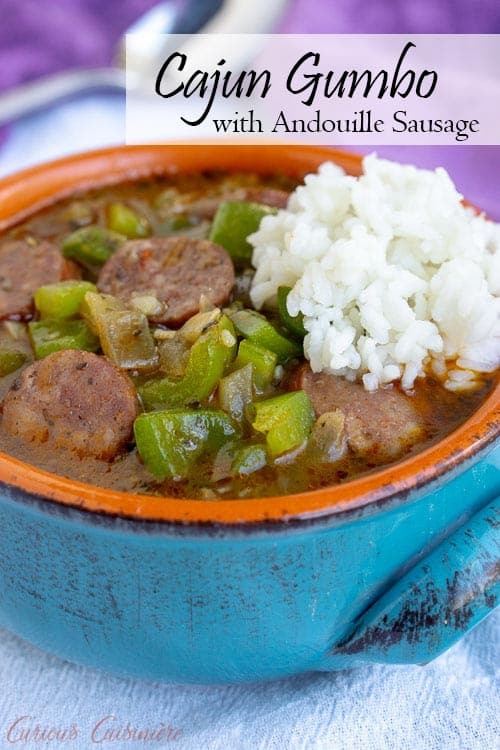 This recipe for Cajun Gumbo with andouille sausage is hearty and comforting. 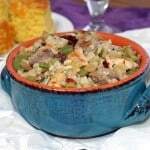 Serve it over rice for a warm and satisfying taste of the Louisiana bayou. 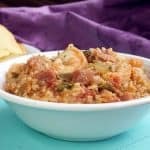 Gumbo is a fusion dish that brings together cooking techniques and flavors of West African, French, Spanish, German, and Choctaw Native American cultures. These were the people settling southern Louisiana in the 18th century, and this dish is a wonderful medley of their influences. 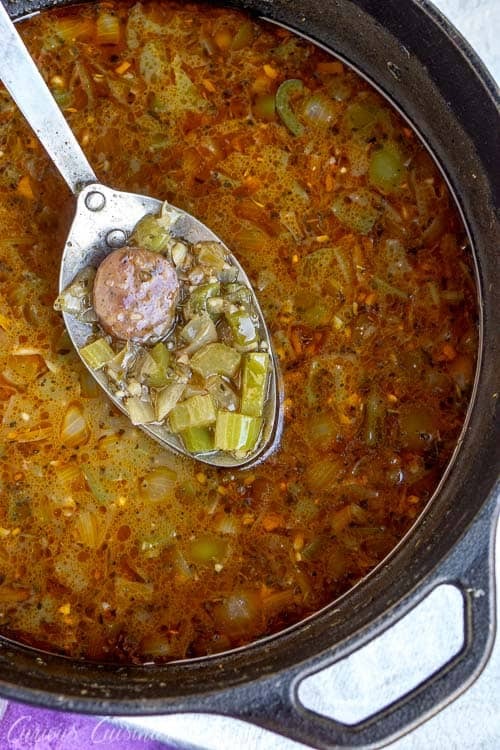 Gumbo is typically made up of a dark broth, flavored with meat or fish, vegetables, and a thickener. 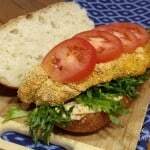 The thickener can be okra (an African vegetable), filé powder (a Choctaw contribution of ground sassafras leaves), or a roux (a classic French thickener). Originally, okra and filé powder were the most common thickeners. However, nowadays, you are more likely to find a roux used to thicken the gumbo. Okra and filé powder are more often used simply for flavoring and texture. Is gumbo Creole or Cajun? Technically that’s a trick question because you will find both Cajun gumbo and Creole gumbo. Creole gumbo traditionally contains tomatoes and shellfish. 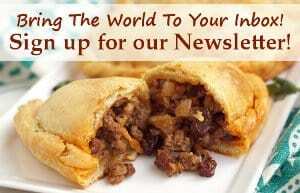 And, you are more likely to find recipes that still use filé powder as a thickener. 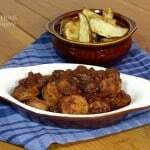 Cajun gumbo uses a dark roux for a thickener and often includes shellfish or poultry. 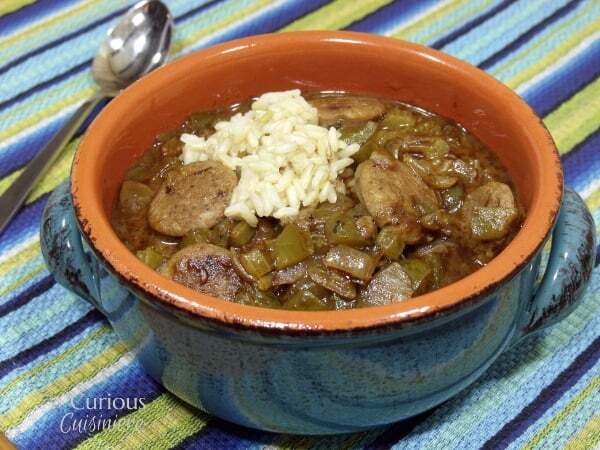 We’re classifying this gumbo as ‘Cajun’ because it contains a dark roux and doesn’t use tomatoes. Here is where you do have quite a big difference. 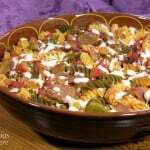 Jambalaya is a rice-based dish. Think of it as a pilaf or biryani. 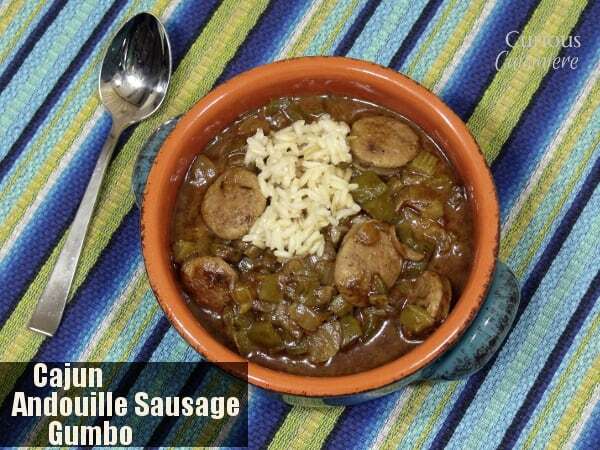 Gumbo, on the other hand, is a broth-y stew or soup that is thickened with a roux and contains larger chunks of meat. 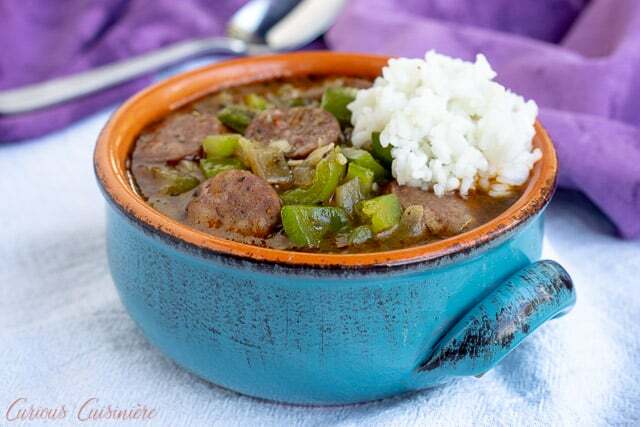 You typically serve gumbo with a side of rice, so diners can add it in separately. We’ve talked a couple of times now about this word ‘roux’. 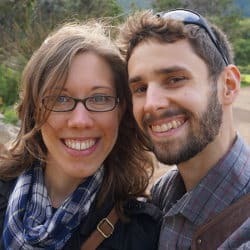 What is a roux? We’re glad you asked! A roux is a classic French thickening agent. And, while it’s French, it’s quite simple. To make a roux, you cook flour in fat until it gets nice and toasted. It is a wonderfully fragrant paste that not only thickens, but also adds a deep, toasted flavor to dishes. 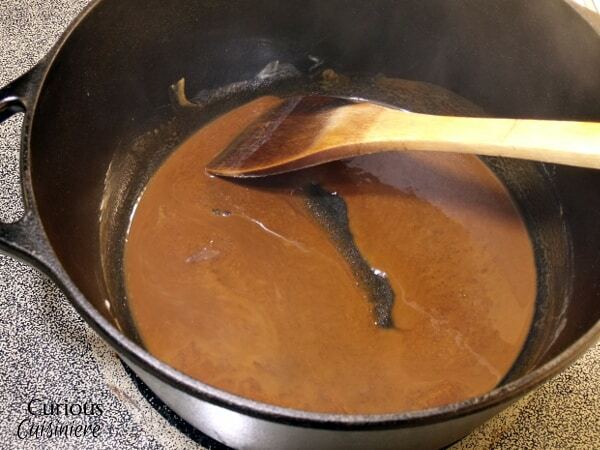 The longer a roux is cooked, the darker in color it becomes, and the more flavor it will give to your dish. However, as the roux darkens, it loses some of its thickening power. So, you need more of a dark roux to thicken a cup of liquid than you would a light roux. This Cajun gumbo gets a deep and rich flavor from a dark roux that we cook for 10-12 minutes to get a nice toasted aroma. 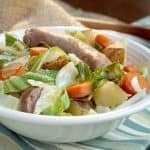 Combine that roux with Andouille sausage and the New Orleans “holy trinity” of green peppers, onions, and celery, and you have an incredibly flavorful and comforting dish! 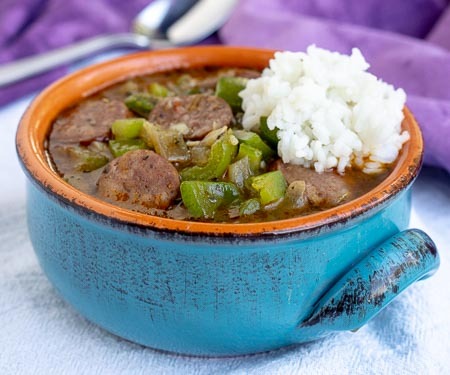 It’s traditional to serve gumbo with rice, which is the perfect accompaniment to make sure you get to enjoy every last drop of that delicious broth. Cook the rice according to package instructions. Set aside for serving. Add the diced onions, green peppers, celery, and garlic. Sauté 4-5 minutes, until softened. Add the Andouille slices, Cajun seasoning, and water, scraping the bottom of the pot to deglaze and loosen up any stuck bits. Simmer the mixture for 10 minutes, until thickened slightly. Remove the mixture from the heat and let stand, uncovered, for 2-5 minutes before serving. 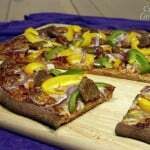 This recipe from 2015 was updated in February 2018. 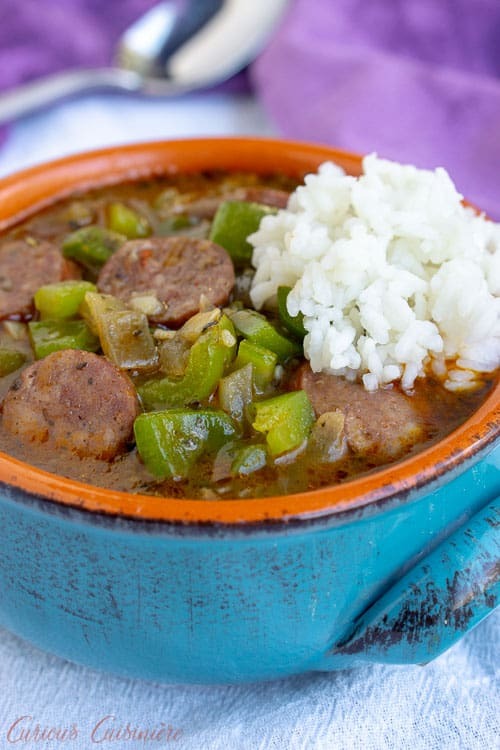 We made the gumbo even better! Enjoy! So glad you enjoyed the gumbo!